She has a masters' degree in Painting from Accademia di Belle Arti di Roma. 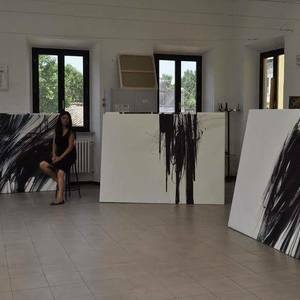 She also has two bachelors' degrees in painting: the first of these conferred by Tehran University of Art in 2006, and the second in 2013 by the Accademia di Belle Arti di Roma in Italy. She has participated in several solo and joint exhibitions in Europe and Asia since 2003.